Artists reconstruction of the mosasaur Prognathodon saturator. 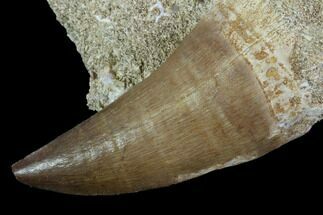 are very large extinct marine reptiles with some species reaching lengths of over 50 feet and are considered to be some of the fearsome predators to ever inhabit our oceans. They first emerged during the Cretaceous period 90 million years ago, and become the oceans dominant predators with the with the extinction of the ichthyosaurs and decline of plesiosaurs. Mosasaurs went extinct during the Cretaceous-Paleogene extinction event which killed all of the dinosaurs. Mosasaurs are related to the living Komodo dragon, but they have flipper-limbs which suit them for an aquatic life. Mosasaurs appear to have developed shark-like tails and would have been fast swimmers. Mosasaurs had to come to the surface to breath air. 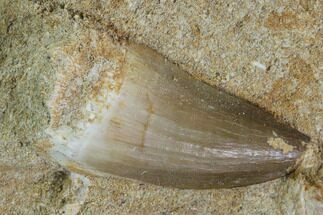 Mosasaurs had a varied diet which included other mosasaurs, sharks, fish, and ammonites. The largest mosasaur could reach 57 feet long, though many were in the 20-30 foot range. Mosasaurs are reptiles that left the land for water. 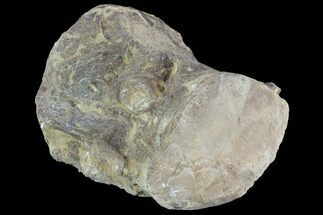 Hydropedal limbs evolved independently at least 2 times. 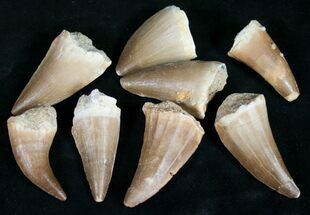 The family Mosasauridae has several sub-families. 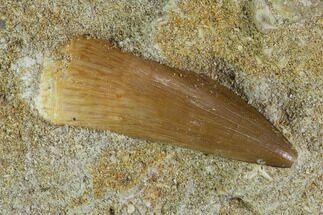 Species had diverse adaptations of the tail, snout, and teeth. The Mosasaurus hoffmannii skull found near Maastricht around 1770.
were first discovered in 1764, near the Meuse River, which inspired the name “mosasaur”. 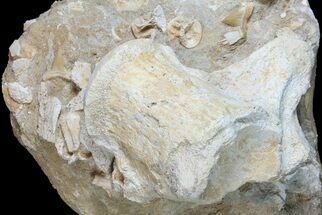 The fossil skull was discovered in the Netherlands at a limestone quarry near the city, Maastricht. A second skull was discovered sometime between 1770 and 1774. 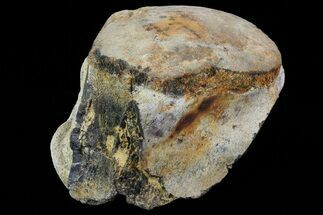 This partial skull, owned by a canon named Godding, drew the interest of scientists. 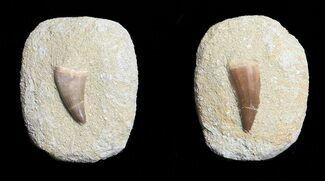 A surgeon and collector named Johann Leonard Hoffman wrote to various scientists regarding this special find from Maastricht. This specimen is said to have been hidden from French occupiers in 1794, though legend rumors that the specimen was taken to Paris after it was given up for 600 bottles wine. A.G. Camper was the first to understand the mosasaurs connection to lizards. His ideas came to light in 1799, though it wasn’t until 1808 when his assertions were confirmed by Georges Cuvier. In 1822, mosasaur was finally identified by its name meaning “Meuse reptile”. It received its full species name in 1829. 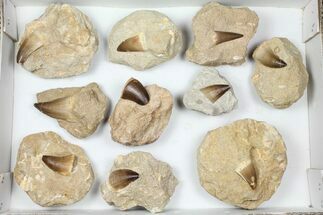 Other fossil pieces of Mosasaurus hoffmanii were taken from Maastrict in 1790. Some have been retrieved and put on display at the Teylers Museum of Haarlem. 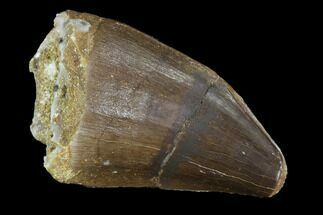 In the wilderness of the American West, but present-day North Dakota, a mosasaur was recovered and found its way to Germany where it was described in 1845 by the naturalist, Dr. Goldfuss. This specimen is now part of the Goldfuss collection at a museum in Bonn. 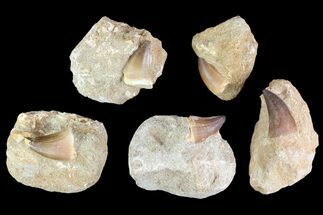 The first mosasaur discoveries brought great fame to the limestones of Maastricht. This is where the term “Maastrichtian” comes from. 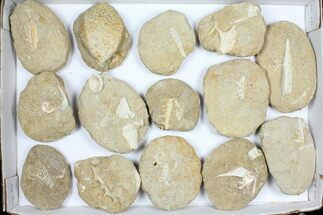 The Maastrichtian is the epoch comprising the last 6 million years of the Cretaceous. 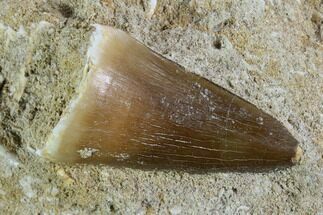 Mosasaur fossils have been found all over the world including northern Europe, eastern Europe, Russia, Turkey, the Middle East, northern Africa, Canada, South America, the United States, and even on islands of coastal Antarctica. Cretaceous North America had an enormous inland seaway across what is now the plains and Gulf states. 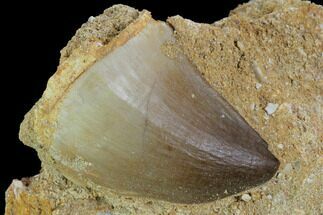 Mosasaur fossils have been found where the seaways covered the land. 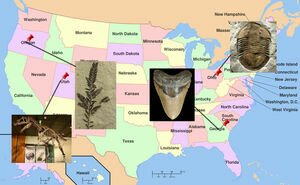 Kansas is just one state recognized for its Mosasaur fossils. Mosasaurs may have evolved from aigialosaurs. Aigialosaurs were semiaquatic squamates. In the Cretaceous, Mosasaur may have evolved from this reptile that is most similar to monitor lizards. Ichthyosaurs went extinct in the last 20 million years of the Cretaceous, and plesiosaurs began to disappear. This left the mosasaurs as a prominent marine predator. During the Late Cretaceous, epicontinental seas were areas where the very high ocean levels intermittently intruded inland. These warm and shallow seas were ideal habitat for mosasaurs. 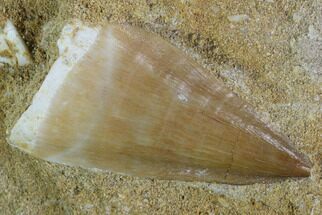 A freshwater species from modern-day Hungary was announced in 2012. Mosasaurs adapted to many niches. 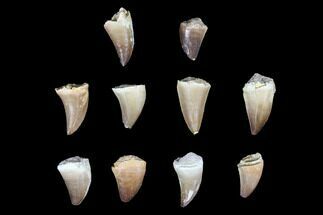 They were able to gulp down prey, and some species evolved special teeth crushing mollusks. 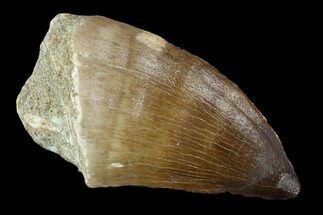 Mosasaurs also developed shark-finned tails. 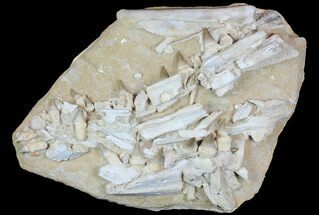 New discoveries of fossilized tissue and comparisons with other shark tails are shedding light on mosasaur locomotion. . The smallest mosasaur was about 9.8 feet long. This species, Carinodens belgicus, was suited for shallow water. 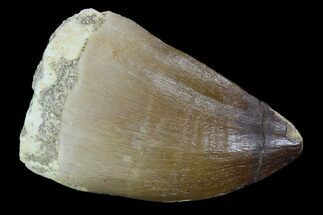 It had bulbous teeth which were likely used for cracking open mollusks and sea urchins. Clidastes were 10 feet long and from Late Cretaceous North America. Mosasaurs were generally much larger. The longest mosasaur is Hainosaurus, which grew to 57 feet. 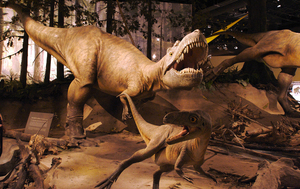 Platycarpus and Dallasasaurus were smaller genera. They reached 10-20 feet long. Platycarpus lived 85-80 mya and was the most common mosasaur in North America. 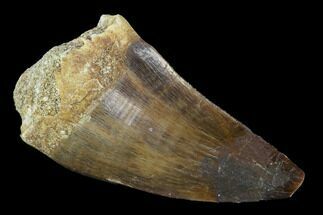 It was generally 14 feet long, shorter in the skull than other mosasaurs, and likely ate shellfish in the shallow sea that covered the middle of North America. Other mosasaurs were predominantly large. Prognathodon reached about 33 feet long. Other examples include Tylosaurus and Mosasaurus, which were 33-49 ft long. Mosasaurus could reach 50 feet long and is estimated to have weighed 15 tons. 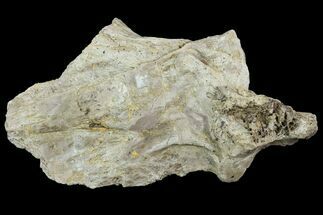 It was from the Late Cretaceous and lived 70-65 mya. 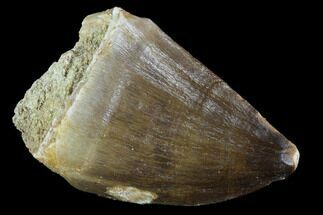 It is recognized for a blunt head that resembles an alligator and the tail fin that was present in some mosasaurs. These large reptiles were apex predators of their time. Pannoniasaurus was a fresh water mosasaur that lived about 80 mya. It had a long, narrow snout and grew to about 20 ft. and weighed about 1000 lbs. Mosasaurs were built for swimming. Their body plan was similar to the monitor lizards that we see today, however mosasaurs had a lengthy and streamlined. 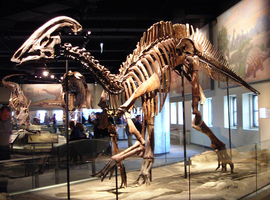 The limb bones were shorter and their digits were webbed to form paddles. Mosasaurs thrust themselves through the water with a long and powerful tail. The motion of the tail was once suspected to be like that of sea snakes. More recent discoveries suggest that mosasaurs had a shark-like tail. 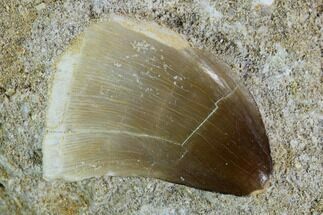 More evolved species of mosasaur had crescent tail flukes that resembled the tails of sharks. For mosasaurs that had the tail flukes, their movement was likely less undulating. This would have made them more efficient swimmers while also providing power when needed. 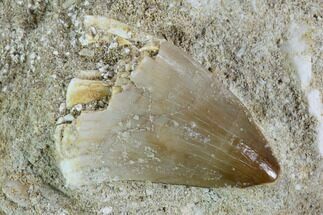 In 2008, a Prognathodon was found in Jordon. This animal possessed a tail fluke which would have been suited for ambushing passing prey in a powerful attack, rather than roaming the ocean, hunting for food. Mosasaurs have gone through some morphological adjustments as new discoveries were made. The dorsal crests the extended along their bodies is a remnant of earlier, mistaken reconstructions. Mosasaurs had a flexible skull and a snake-like, double-hinged jaw. 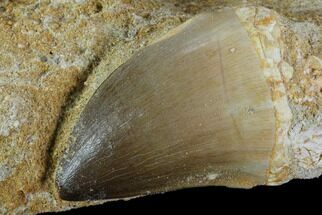 Some species of mosasaur were specifically adapted to eat mollusks. 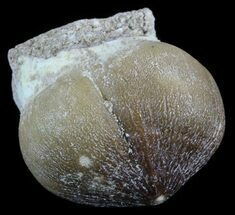 Globidens had specialized teeth which were ideal to crush mollusk shells. 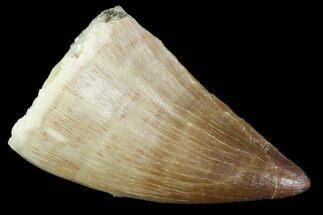 The teeth were blunt and spherical. Mosasaurs breathed air. They also gave birth to live young, rather than lay eggs like their reptile cousins. While the sea turtles would return to land to lay their eggs, mosasaurs remained in the water for their life history. 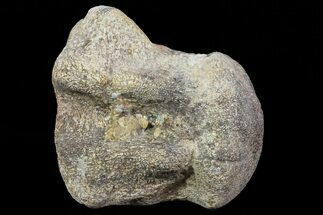 A Platecarpus tympaniticus was found with impressions of skin and what appear to be the heart, lungs, kidneys, trachea, and possibly the retina. The internal organs display adaptations which are more consistent with whales and dolphins (cetaceans), than with monitor lizards. Terrestrial reptiles have bronchi which diverge from each other, while whales and dolphins have bronchi which run parallel to each other. 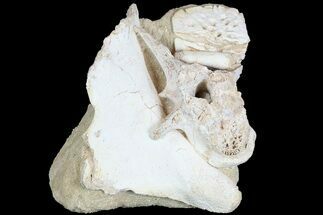 Mosasaurs possessed scales which are similar to those of snakes. 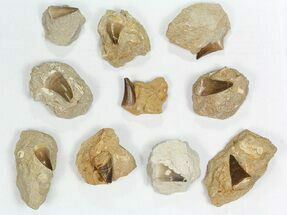 They are diamond shaped and overlapping, with some differences in type and size of scales that were likely an adaptive response to locale environments. 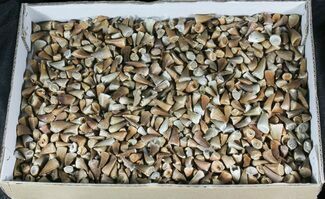 Harrana, has been a very productive place for exceptionally preserved mosasaur fossils. It is here that individual specimens were found with two types of scales on their body. 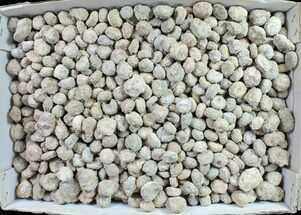 Keeled scales which were non-reflective protected the upper part of the mosasaur, while smooth scales protected the lower parts. The keeled scales would have been effective for a sneak attack on their prey. Recently in 2014, J. Lindgren et al. 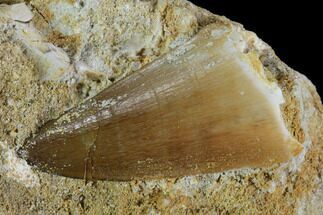 of Lund University shared an amazing discovery about mosasaurs in the journal, Nature. 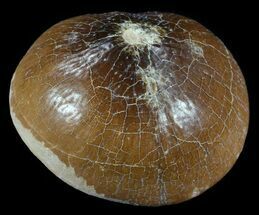 The discovery is melanin in mosasaur scales. 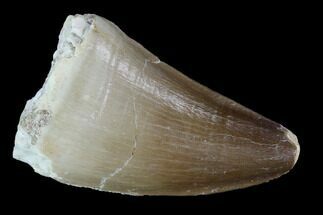 Like a great white shark, the mosasaurs were two colors. They had a black back and a white belly. 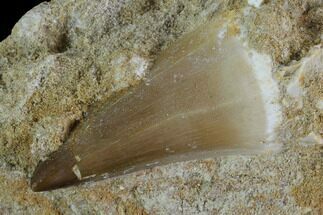 Lindgren is also the first scientist listed for the studies of fibrous tissue which was reported for mosasaurs in 2011. 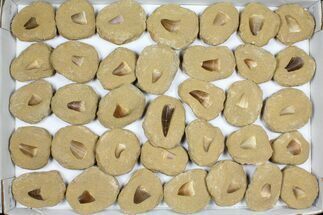 In this case, collagen protein from a Prognathodon was studied. 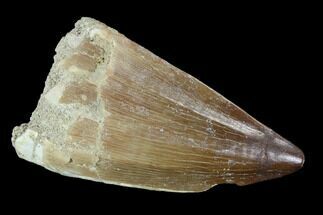 were formidable predators that reached apex status after other oceanic hunters declined in population or became extinct. 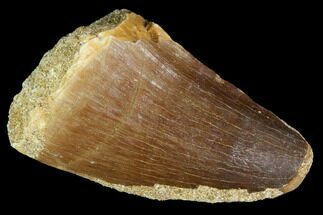 Mosasaurs would have been prey, as well. 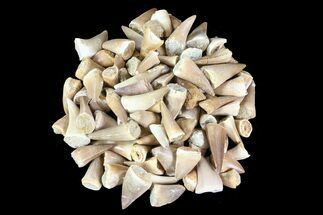 They were eaten by sharks, a detail established with the discovery of shark teeth fixed into mosasaur bone. 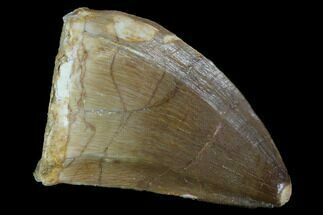 Like a snake, the jaws of a mosasaur were double-hinged. This allowed them to swallow their meals nearly whole. Because of this behavior, unchewed prey has been identified in some fossil remains of mosasaurs. 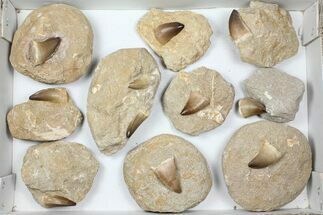 Fossils from South Dakota reveal that mosasaur ate diving seabirds, fish, smaller mosasaurs, and probably sharks, too. Mosasaurs also ate smaller lizards and ammonites. 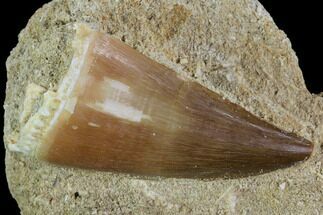 Some species of mosasaur had specialized, blunt teeth for crunching ammonites and mollusks open. 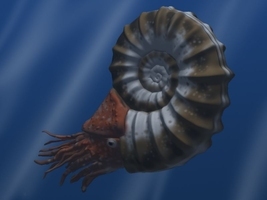 Ammonites are extinct and squid-like cephalopods with nautilus-like shells. 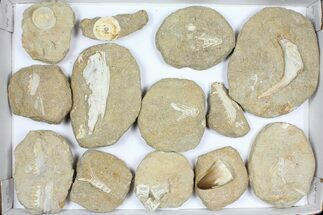 They were abundant and diverse in the Cretaceous seas. 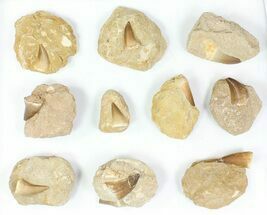 Ammonites have been found with tooth marks that match the bite of a mosasaur. 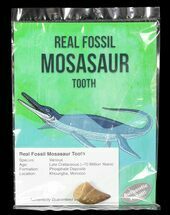 Most of the mosasaurs would have had fish and ammonites as a dietary staple. The smaller mosasaurs would have eaten proportionately smaller prey, such as fish. The smallest mosasaurs may also have hunted in fresh water. Edward Drinker Cope promoted the idea that mosasaurs and snakes shared common marine ancestors. This idea was based on the presence of flanged teeth of the palate, reduced limbs, a likely style of movement, and the hinged jaw which resembles that of a snake. Cope’s suggestion that animals with these features should be classified in “Pythonomorpha”, was emphasized in 1869, and resurrected in the 1990s after basal snakes were discovered in sediments of Lebanon which were identified as marine. The fossils had vestigial limbs. The marine origin of snakes has since been challenged by fossil evidence. Evidence includes a new discovery of an ancestral snake, Najash, which had very well developed legs, a sacrum, and a pelvic girdle. 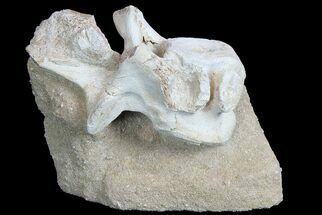 It also had the skull and spine of an animal suited for burrowing. 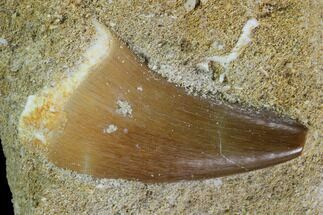 The morphology of Najash establishes a burrowing origin for the mosasaur body plan, and not a marine origin, meaning that mosasaur would have come after Najash. 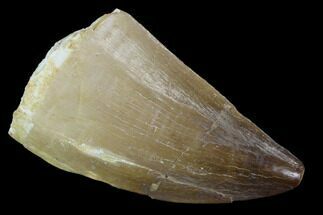 Najash lived 90 mya in the Cretaceous and is found in the sediments of an ancient braided river system called the Candeleros Fm. This formation in Argentina is famous for its diversity of terrestrial fauna. Describing mosasaur in terms of a snake or monitor lizard is an oversimplification of its cladistic relationships. Monitor lizards include the Komodo dragon. Mosasaur is a very large group united by some key characteristics, but there is still great dispute regarding its relationship with squamates (snakes) and varanoids (monitor lizards). 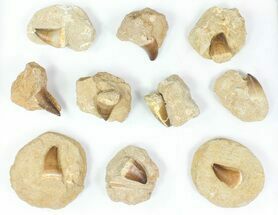 One fossil, the Dallasaurus turneri, is considered an example of a link between the more ancestral aigialosaurids and their decendents, the mosasaurs. Dallasaurus is from Late Cretaceous, North America and it is one of the two oldest mosasauroids known. Dallasaurus was most similar to the living Komodo dragon, it was less than 3 ft long, and it was semi-aquatic. There are characters pertaining to both aigialosaurids and mosasaurs present in this animal. Mosasaur was distinctly hydropedal, having paddles on its limbs. 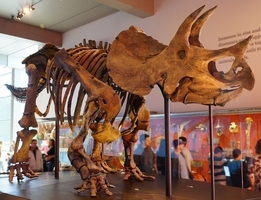 Though Dallasaurus limbs were terrestrial not hydropedal, Dallasaurus had many shared skeletal characteristics such as elongate thoracic vertebrate. One disagreement with mosasaur taxonomy is based on whether mosasaurs should be organized as a monophyletic group (containing an ancestor and all of its descendents) or a polyphyletic group (containing features that look the same but the features have converged or reverted from different ancestors). The character in question is whether ancestors without hydropedal limbs should be included in clades with mosasaurs. An analysis in 2005 of mosasaur phylogenetics was conducted by Bell and Polcyn. Bell and Polcyn asserted that hydropedal limbs had emerged independently in three groups of mosasaurs. 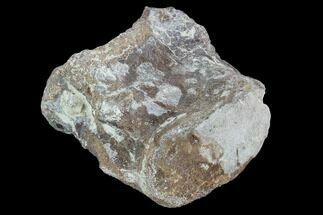 Other scientists confirmed that hydropedal limbs had arisen independently in different groups, but the clades were organized somewhat differently. 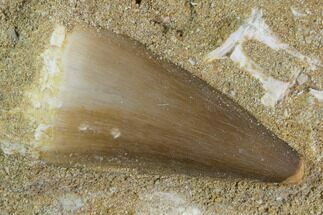 The separation of Halisaurinae and Mosasaurinae into separate clades based on the independent evolution of the hydropedal limbs appears consistent among different scientists. There is less agreement on relationships of clades such as Tylosaurinae and Plioplatecarpinae. The phylogenetic relationship of mosasaur with other taxa has been evaluated by several scientists. A main question is, what is their relationship with Squamata (snakes)? The answer is not agreed upon. Mosasaurs have been analyzed for their place among snakes, various lizards, iguanas, and even geckos. Some scientists place mosasaurs in Scleroglossa, which is a sister taxa to Squamata. However, when considering all of the reptiles in terms of limb character, it becomes important as to which taxa are included or excluded in the analysis. Declaring mosasaur as a marine reptile, possibly descended from subterranean-dwelling relatives of the snake, and an animal that appears most closely related to the monitor lizard- covers a range of taxonomic possibilities. 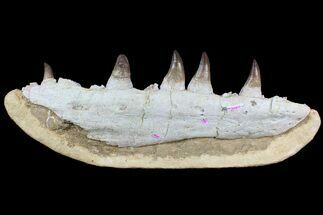 Massive, 25" Mosasaur (Prognathodon) Jaw - With Huge Bite Mark! 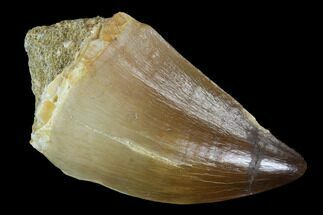 Igdamanosaurus (Globidens) Mosasaur Tooth - .9"
Igdamanosaurus (Globidens) Mosasaur Tooth - .95"